..if you just want to text-chat with your patient. Text-only sessions are Coviu calls with no audio and video chat capabilities. You can still continue to use all the in-call features (document sharing, whiteboards etc.) as expected from standard video sessions. Like video sessions, text-only sessions are secured via end-to-end encryption and messages exchanged in the call are not accessible anywhere except on the session participants' local computers. 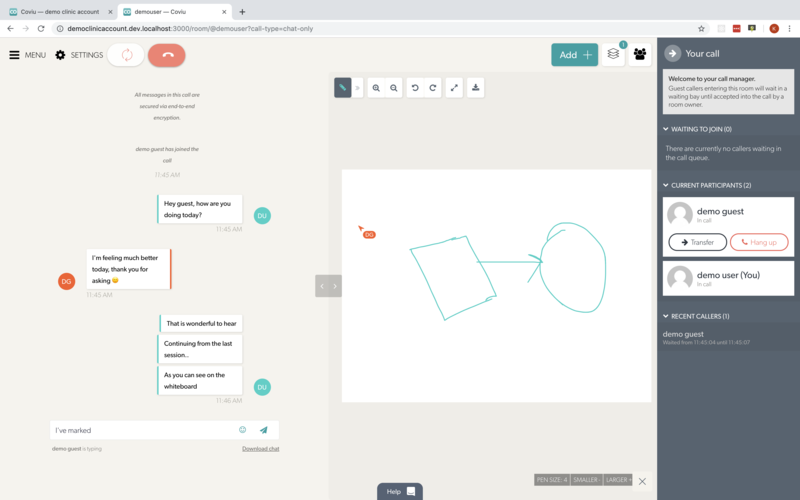 The image below shows the call interface, with a whiteboard resource being used in the session. Click on the 'Download' button in the pop-up. This should download a '.txt' file containing the session log. 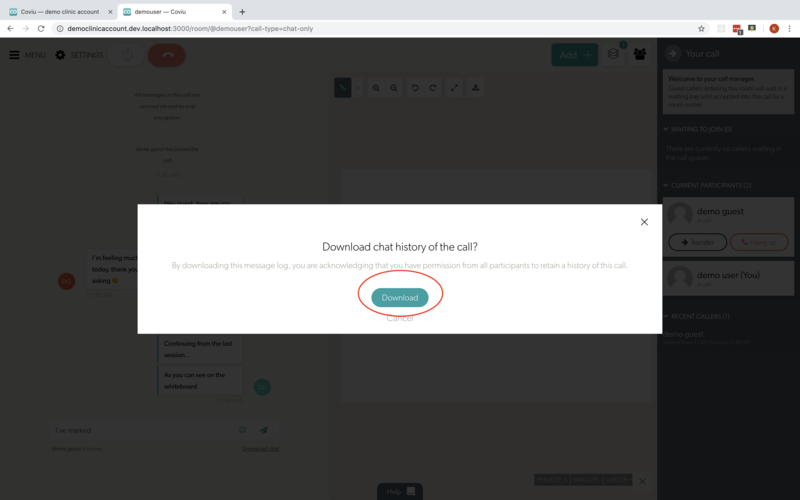 Please note that downloading the chat history implies that you have permission from all the participants in the call to retain the call history. 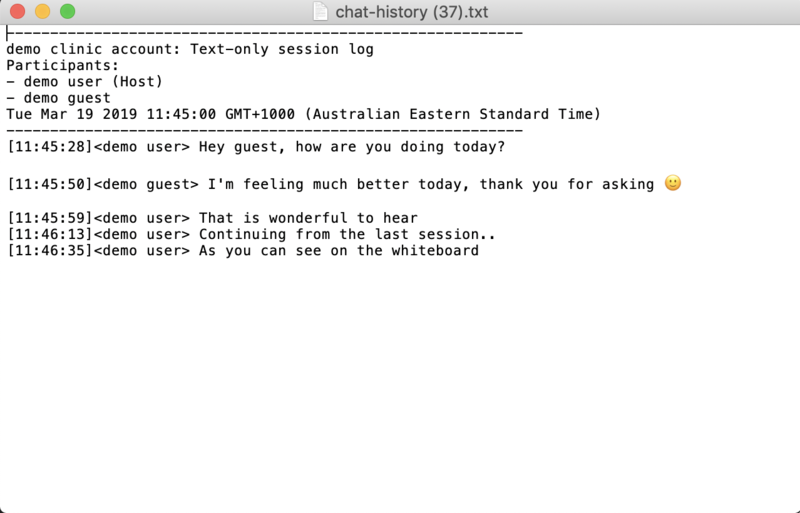 Text-only sessions can be setup using the 'Scheduled Sessions' feature. Once text-only sessions are enabled for your account, they can be setup by selecting the 'Text-only' option while scheduling a new session.